Yesterday, I was informed by my son that The Who is an owl band. 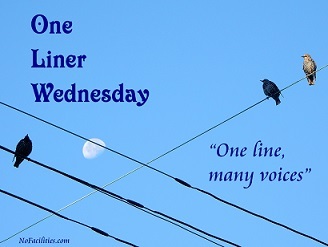 Categories: art, Blogging, Blogs, Cool Stuff, Funny, One-Liner Wednesday, Prompt | Tags: #1linerWeds, children, family, Humor, inspiration, writing prompt | Permalink. wow – this is so great and beautiful reflection!! Pingback: Kilmarnock, Virginia – ….Bilocalalia…. Pingback: One-Liner Wednesday: Dirt | Anything is Possible! Nice owl whether it is in a band or not. I use paint to resize images, but I haven’t tried drawing with it. I LOL’d! Love your owl. Thanks, Melissa. 🙂 And thanks for joining in too!